Jeffrey Welch's Blog: Sardines for Dogs? Can Dogs Eat Sardines? Sardines for dogs? Yep, everyone in my animal house adores canned sardines. In fact, I’m not sure who loves them more — the dogs, the cats or me! I also appreciate the fact that you can buy sardines practically anywhere, at any time of the day or night. This is why I recommend stockpiling cans of this healthy, handy fish in the event that a natural disaster strikes. Why sardines for dogs? What nutrition do sardines offer for dogs? Sardines for dogs? Let’s find out the details! Photography by rubensantos / Shutterstock. It’s rare when a treat this tasty and convenient is also packed with beneficial nutrients. CoQ10, aka Ubiquinol, is also excellent for preventing dental disease in canines, felines, and humans. 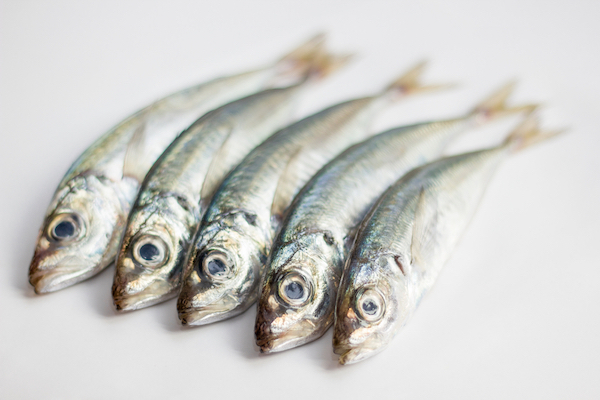 Just one caveat: Skip sardines slathered in sauce — such as oil, mustard or ketchup — and check the ingredient panel for the lowest-sodium specimens available. When you start giving your pets and new foods (like sardines), always start slowly and with a small amount. They should not cause stomach upset, but it’s better to be safe than have a sick pet. “If you feed your pet too many sardines, they may develop a fishy smell,” says Kutcher. “If that’s the case, reduce the amount and frequency of feeding sardines.” You could also feed a loving spoonful of coconut oil as a chaser, to counteract that pungent, oceanic odor. The water the sardines are packed in also makes an excellent, flavorful gravy for dog or cat food. No less a health authority than integrative medicine guru Dr. Andrew Weil pours sardine juice over his dogs’ kibble. My dogs love it when I soup up their kibble with sardine juice, plus a dash or two of turmeric, which has its own lovely health benefits. Tell us: Sardines for dogs: have you ever fed them to your pup? What was his reaction? Please share in the comments! The post Sardines for Dogs? Can Dogs Eat Sardines? appeared first on Dogster.